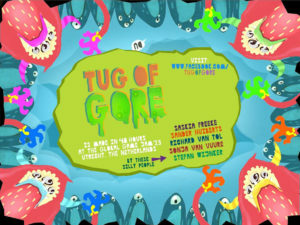 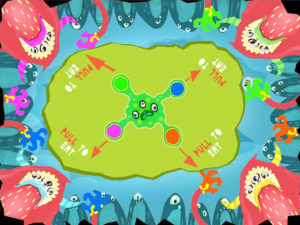 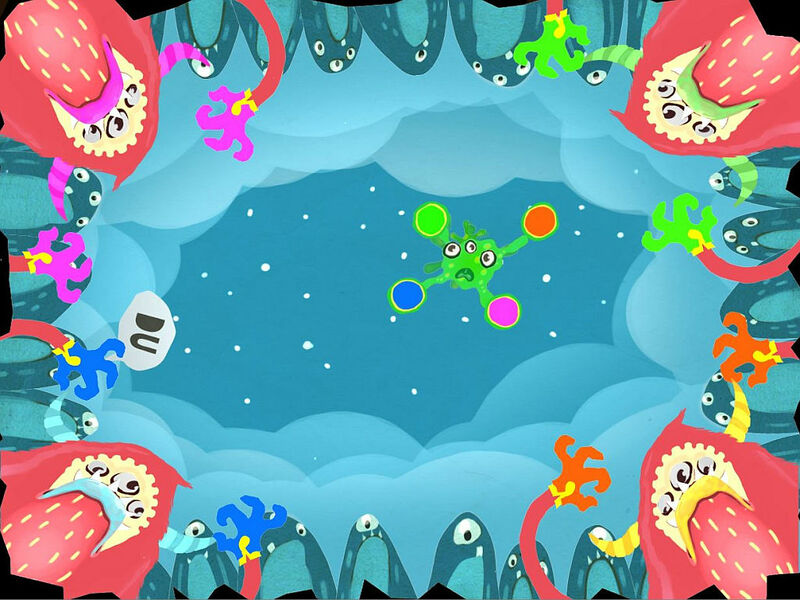 Tug of Gore is a silly-fun 4-player iPad game created in 48 hours during the 2013 Global Game Jam. 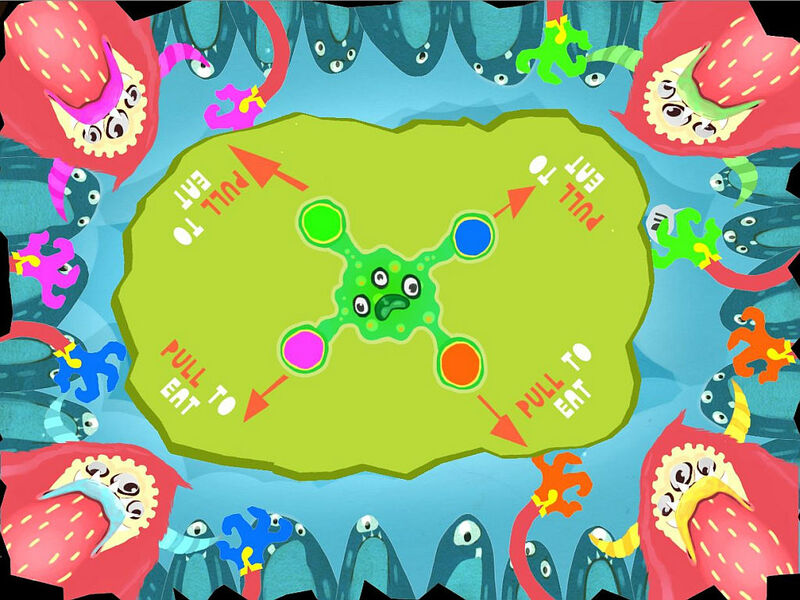 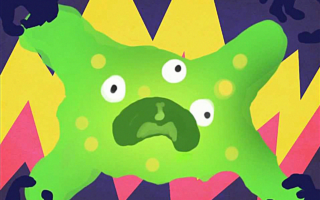 The goal of this tug-of-war-style game is to pull a green glob of gore towards your own DuDu-monster in the corner. 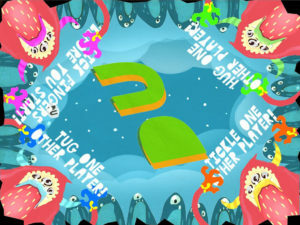 The first player to achieve this a number of times wins! Players can tap their DuDu to temporarily increase tugging power. 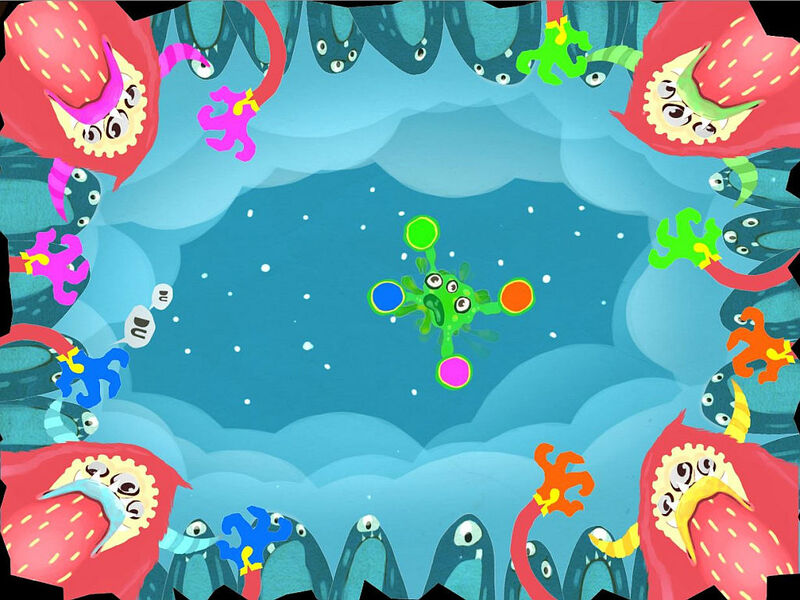 But beware – other players can steal this power too! 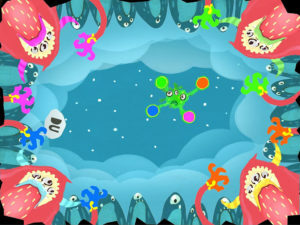 Players are only allowed to touch the iPad with just one hand. The other hand may be used in whatever way the players see fit.